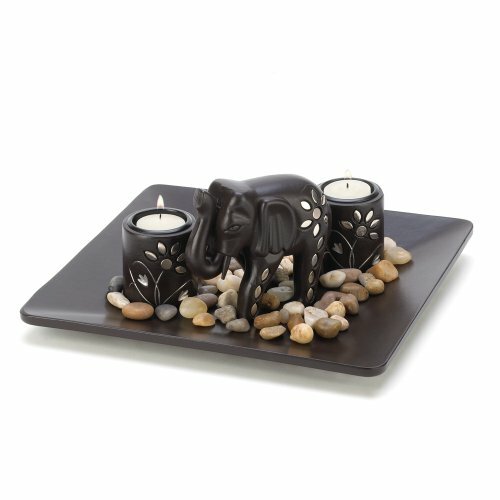 Intriguing pair of ornate tealight holders with an elephant. Captivating chocolate finish accented with inlaid silver pattern. Elegantly displayed on a metal platter with pebbles. Enhances any décor with a lovely touch of candle glow. Great choice as a centerpiece for any event. View More In Candleholder Sets.